This article was originally published on Reappropriate. If she is confirmed by the Senate as Transportation Secretary, Chao stands to be one of the key members of Trump’s Cabinet. Trump has promised to dedicate $1 trillion dollars towards infrastructure projects. The plan has bipartisan support, but critics note that Trump has not said where that money will come from. Furthermore, Chao’s history of prioritizing the pro-business lobby in favour of workers’ rights causes me a great deal of concern; if confirmed, Chao will be charged with planning and implementing construction projects that serve as the cornerstone of the President-Elect’s plan to create thousands of new jobs. Chase Stevens/AP – South Carolina Governor Nikki Haley speaks at an event. President-elect has nominated Haley for U.S. Ambassador to the United Nations. 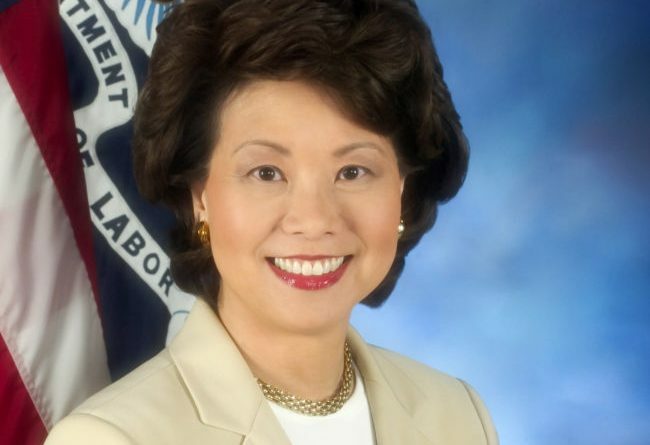 Chao is the third Asian American woman to be announced by the Trump transition team to fill a Cabinet position or other top role in the administration. Earlier in the month, Trump announced that South Carolina Governor Nikki Haley, who has very little experience in foreign affairs and diplomatic relations, has been chosen to serve as U.S. Ambassador to the United Nations. It’s hard to provide tangible criticism for Haley’s selection to a position she has no material qualification for, but Haley has been repeatedly criticized for her johnny-come-lately criticism of the Confederate flag and her race-baiting rejection of the Black Lives Matters movement even when her state saw the state-sanctioned murder of Walter Scott — who was videotaped fleeing for his life moments before he was shot in the back and killed by a police officer — as well as one of the most heinous acts of domestic racial terrorism in recent memory. The Trump transition team also announced today that Seema Verma, the CEO of a health policy consulting firm, will oversee the Centers for Medicare and Medicaid Services. Verma’s firm has worked heavily with Pence’s administration to create and implement the Healthy Indiana Plan, which was intended to create healthcare coverage for the state’s low-income residents as an alternative to the the plans available in the insurance exchanges created under the Affordable Care Act. However, under the Healthy Indiana Plan, low-income residents are required to contribute a percentage of their income by a pre-specified due date, and in return receive a plan that charges $1,100 deductibles for services, and provides virtually no preventative care coverage. Verma has been quoted as saying that the plan relies on a “strong personal responsibility mechanism.” By selecting Verma to head the nation’s Medicare and Medicaid programs, Trump’s administration signals that they believe a similar philosophy should be applied to federal programs designed to ensure healthcare services for the nation’s lower-income and elderly populations. 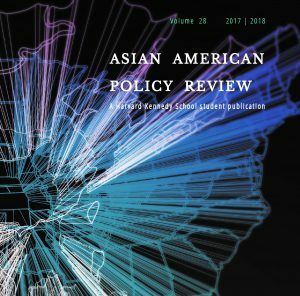 Thus far, three Asian American women have been chosen for top positions in the Trump Administration, and one can’t help but wonder if their race and their gender are being used as a preemptive shield to deflect criticisms of racism and sexism rightfully directed towards the President-Elect. Are a handful of select Asian American women, again, expected to serve as convenient objects of political display, assumed by stereotype to be seen but not heard in a Trump Administration (and a Republican Party) otherwise overwhelmingly dominated by bloviating White men? Then again, I see little benefit by having Chao, Haley, and Verma ‘lean-in’ at Trump’s table. Throughout their careers, Elaine Chao, Nikki Haley and Seema Verma have worked to create public policies that undermine the lives of underprivileged, low-income people, which includes the 12.3% of Asian American women who currently live below the poverty line and the many more AAPI and other Americans who are in desperate need of a government that protects workers’ rights and low-income healthcare coverage. Even though I, too, am an Asian American woman, I see no allies here. All too frequently, Chao, Haley, Verma have shown, by their words and by their work, to stand in opposition to people of colour and the poor. Jenn Fang is a proud Asian American feminist, scientist, and nerd who currently blogs at Reappropriate.co, one of the web’s oldest AAPI feminist and race activist blogs. She has previously contributed her writing to Change.org, Asian Pacific Americans for Progress, Asian Americans for Obama, The Nerds of Color, Quartz, Angry Asian Man, and good Men Project. She can currently be found at Reappropriate, as well as on Twitter at @Reappropriate, and on Facebook.